Get Excited! 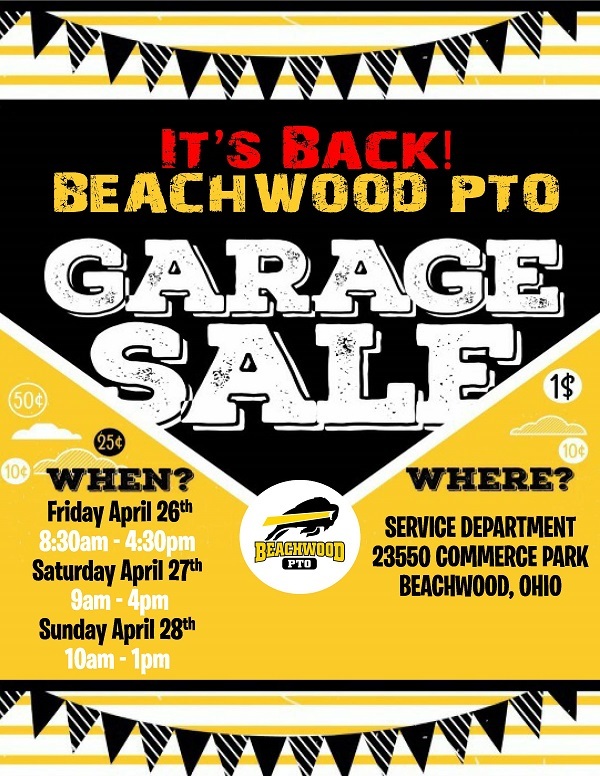 The Community Garage Sale to Support the Beachwood Schools PTO is back for 2019. The proceeds raised from the garage sale support the meaningful programs and events the PTO does all year long in the schools. Check back later to find out how to volunteer. For those unable to make a commitment of time, please consider donating your gently used clothing and household goods to the sale. And finally, make sure you mark your calendars to make time to SHOP! You never know what treasure you might find! Accepted items: clothing, household items, toys, books, electronics, sporting goods, baby and children's items. Check back to find out how to volunteer!